2497LF is rated 3.8 out of 5 by 30. Rated 2 out of 5 by Chad from Broke collar I bought this kitchen faucet and it broke. Rated 1 out of 5 by CMR1 from A Dud I purchased this faucet in April of 2018 and had it installed by a plumber in April.Since my old box store faucet did not work out it was my plumber who suggested Delta. So now less than six months of installation IT LEAKS! Why can't companies make reliable products? Now I will have to double my original investment and have to call the plumber to fix the leak Just not fair. 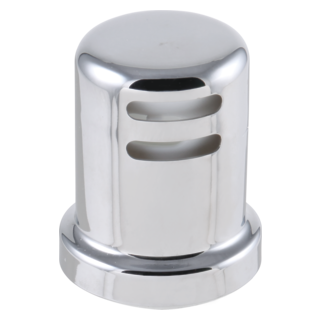 Rated 5 out of 5 by nwagoddess from Great product I had a problems with a faucet and they sent me a replacement! I highly recommend Delta faucets. 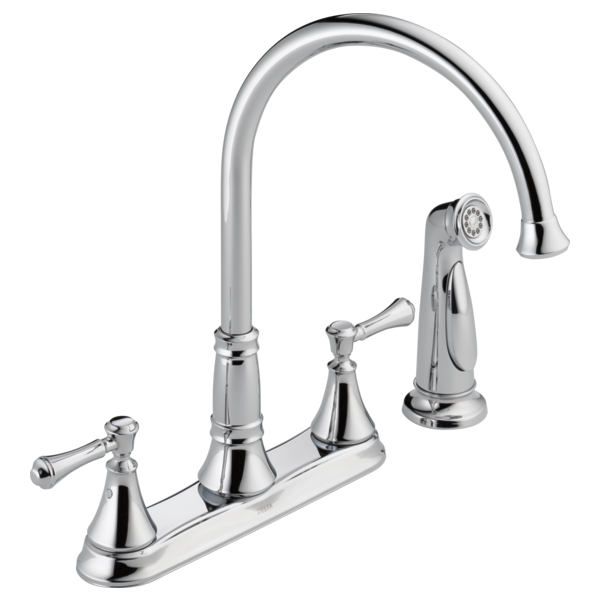 Rated 4 out of 5 by LacyvV from Nice Faucet; Unusual Torque This is a nice high kitchen faucet. The spigot is much easier to turn than I am used to, so I have hit my kitchen windowsill a time or two. The handles are more difficult to turn than any I have ever experienced, though I don't think the strength required is excessive. The sprayer works well. I like the white hose. I also like that the on button is on the front (spraying) side of the handle. I am less likely to spray myself while retrieving the sprayer. Rated 4 out of 5 by mdew27 from Nice Love the faucet, love the looks, and easy installation. The one thing I can't figure out is under what circumstances would you want a spout to rotate 360 degrees for your kitchen faucet? Unless you had 2 back to back sinks or wanted to give your counter tops a surprise wash. 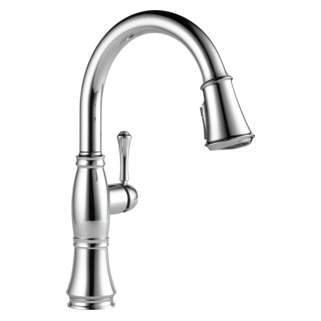 Rated 4 out of 5 by Janetbxyz from Great faucet except.... I would have given this 5 stars except for one feature: the faucet is so loose that it swings back and hits the wall when we move it from one side of the sink to the other. If the water is on, we have to be very careful because we can end up with water all over the countertop. The plumber who installed it said there was no way to adjust it. 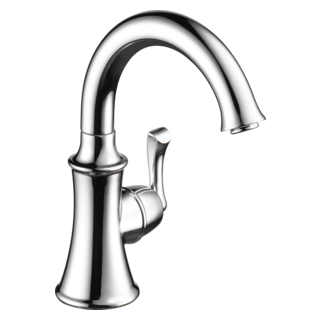 Rated 1 out of 5 by FrustratedEAB from missing part needed to complete installation of faucet Would like to write a review but are waiting for a part from Delta that is needed to install the faucet properly in order to use. 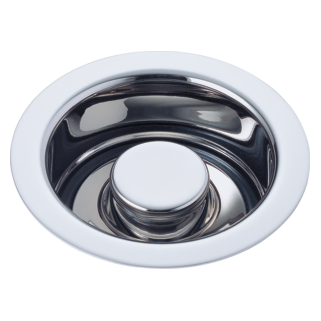 Once we get the part needed to complete the installation, and have a chance to use this faucet, we would be able to write a review. Delta 2497LF- What parts are non-metal? Is the sprayer head plastic? What is weight of product? Where is the spec for deck thickness? I don't see the deck thickness that this and other Delta faucets are for. Is that information provided somewhere? 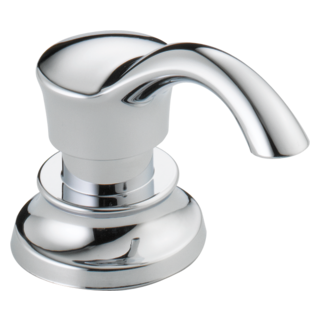 I've noticed that many faucets with escutcheons are limited to one inch or thereabouts of countertop thickness. 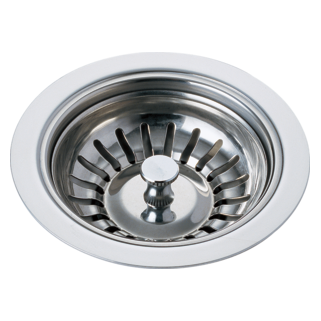 How do i get the it aerator off the faucet due to the fact that it's recessed? Is there a special tool for this? Hello, Are the spout and handles thoroughly all metal (inside and out)? the handle for the side sprayer is too large and uncomfortable for my wife. 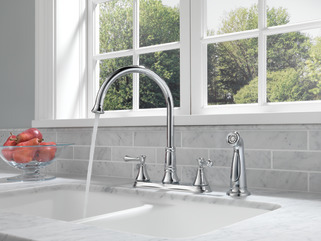 is there a different side sprayer that would coordinate with faucet with a smaller handle? Hello, we specified this faucet in a daycare (caregiver and toddler sinks) and wonder if there's an option at the toddler sink to prevent the spout from pivoting. Keeping it in a fixed position so it can't be turned onto the counter.